X-Digital is your go-to source for top-of-the-line refurbished Xerox machines and production equipment. Purchasing a Xerox machine is very much like buying a car — you lose some value the second you drive it off of the lot. 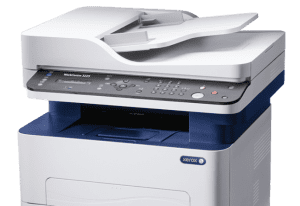 So, why spend full price for a brand new Xerox machine when you can save up to 70% off and receive the same service contract as if you bought a brand new machine? The depreciation value of your refurbished machine will be much lower — and not be as painful for your wallet — when you take it out of our hands, as you will only pay a fraction of a brand new machine’s price. Our company is a leader in Xerox machine refurbishment and is here to simplify the process by making it easy for our clients to use the machines and ensuring that they receive the best deal. We have sold thousands of machines and accessories over the course of the past 20 to 30 years and have saved our clients hundreds, and even thousands, of dollars. Shop our various production and digital presses, and contact us if you are unable to find what you are looking for.